Because I like the idea of randomness, I decided to include that concept in my site name. I think that randomness is everywhere and comes into play in science so much. As I am a professor of chemistry, and a "retired" industry researcher, the idea appeals to me. So when I decided to have a blog site, I wanted to include photos of randomness in the site design. All randomness photos are included in the "Randomness" Photo Album. 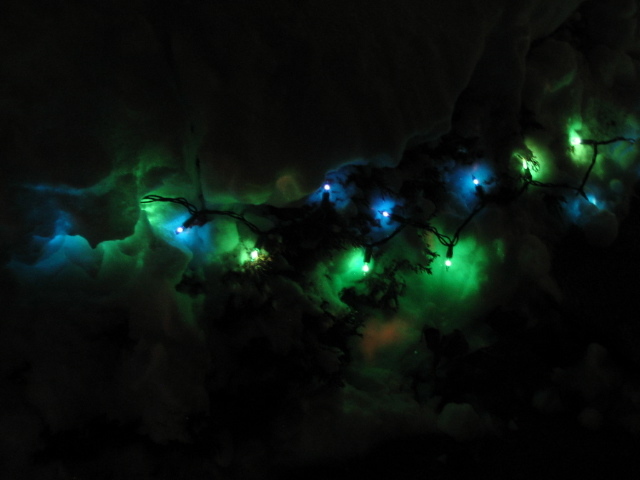 This picture is of my blue and green holiday lights on the shrubbery, under the snow, in my front yard. So I think this is going to be an ongoing thing, pictures of randomness, wherever I find them.